And in her words “I want to go to a restaurant”. While long, this is a pretty simple list. Here’s the thing, this is the first year Zoe has asked for anything specific for her birthday. She has a Christmas list too (with all the same things and a few more items). I didn’t think she was serious until she repeated the list over and over again. 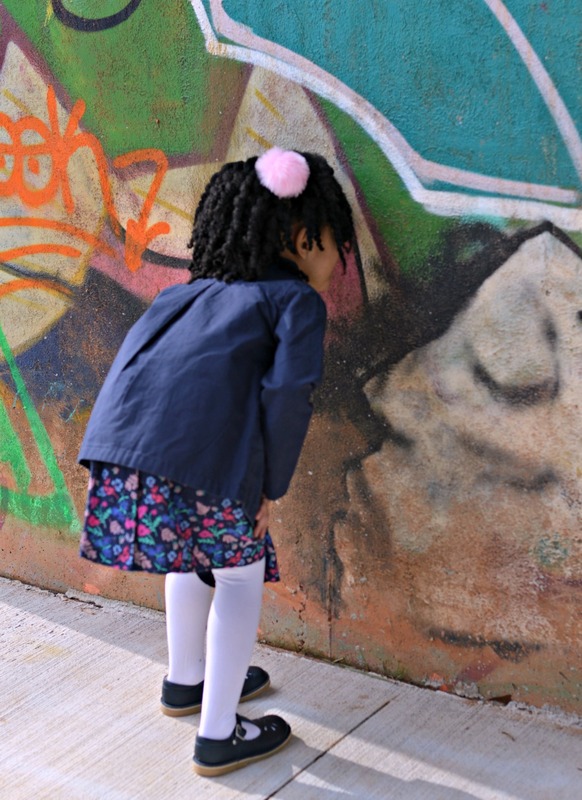 She told me, she told her dad, she told all of her aunts, both of her grandmothers and her grandfather too. So mommy decided to make some of her birthday wishes come true. 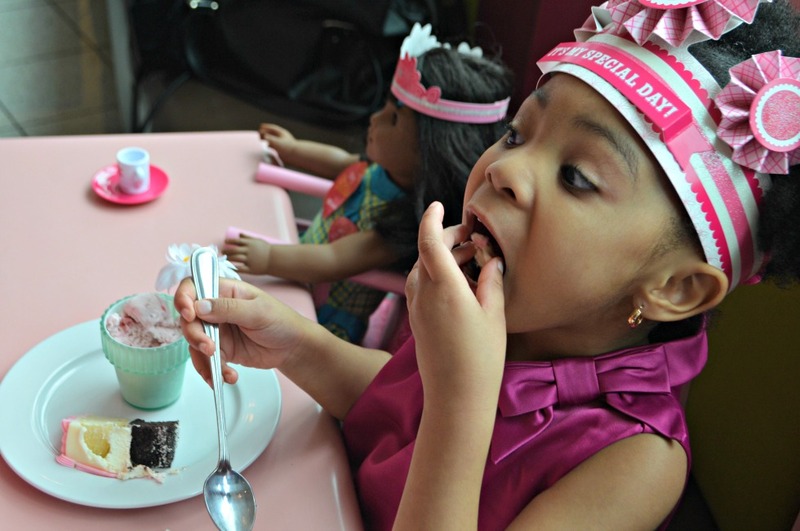 I planned a 4th birthday girl’s day out at The American Girl Bistro and Store. I decided to make it an all-girls affair because it’s not that often Zoe gets to go out with mommy one on one. 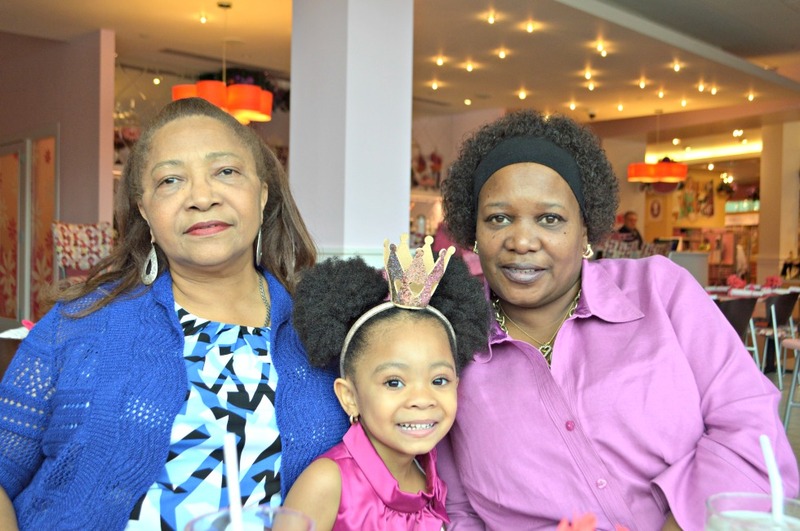 But I wanted it to be extra special so I invited her grandmothers to lunch with us and of course, Melody Ellison was invited too. My MIL is a doll collector and my mom always made my doll wishes come true so this was the perfect day out for the 5 of us. Zoe covered every square inch of the store as soon as we got there and that was before we had lunch! LOL. 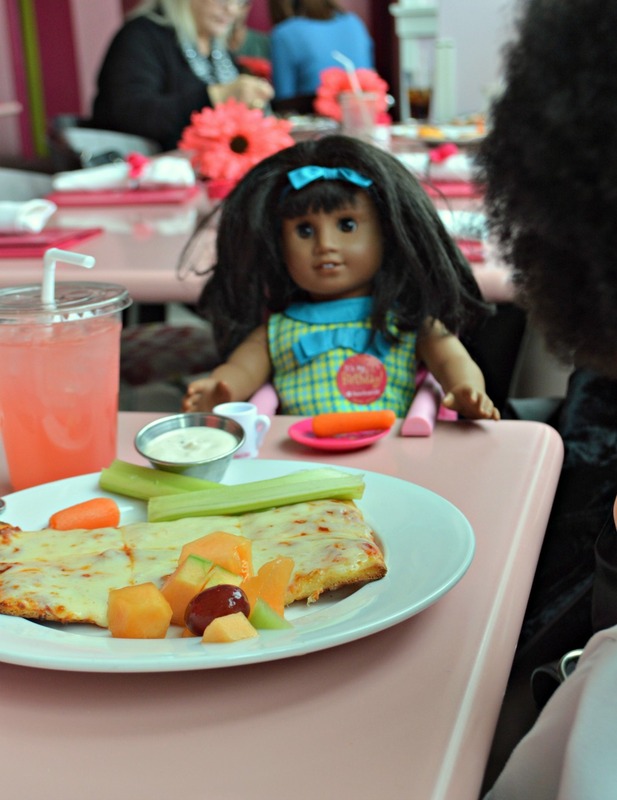 We had to peel her away from the dolls and the accessories so we could eat. I knew Zoe would enjoy the princess treatment she deserves once we sat down to eat. The American Girl Bistro did not disappoint. Zoe was smiling from ear to ear and could barely contain herself. 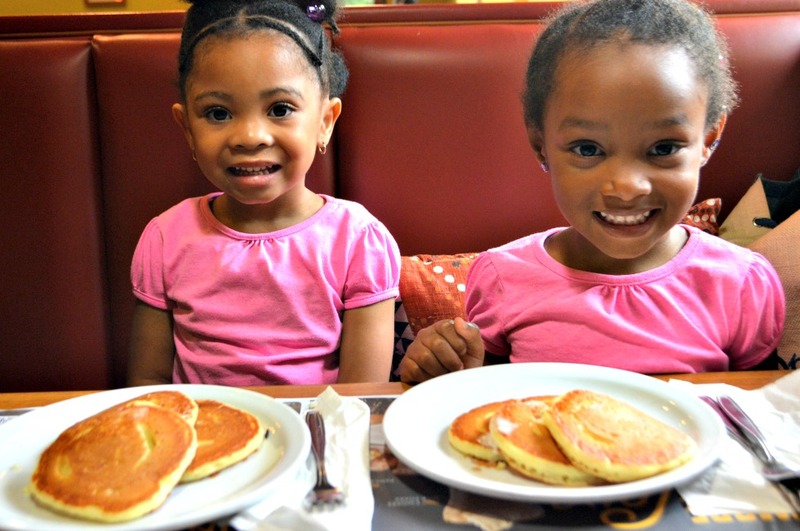 Zoe and Melody were set up with their own place settings, menus and birthday girl stickers. The girls shared a pizza and veggies lunch. And then it was time for some cake and ice cream after the bistro staff serenaded Zoe for her birthday. 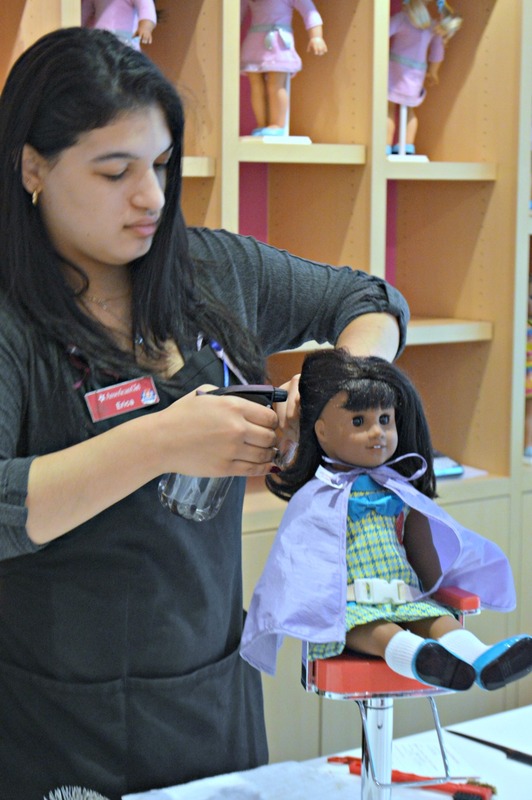 After lunch, we took Melody for her hair appointment in the doll salon. 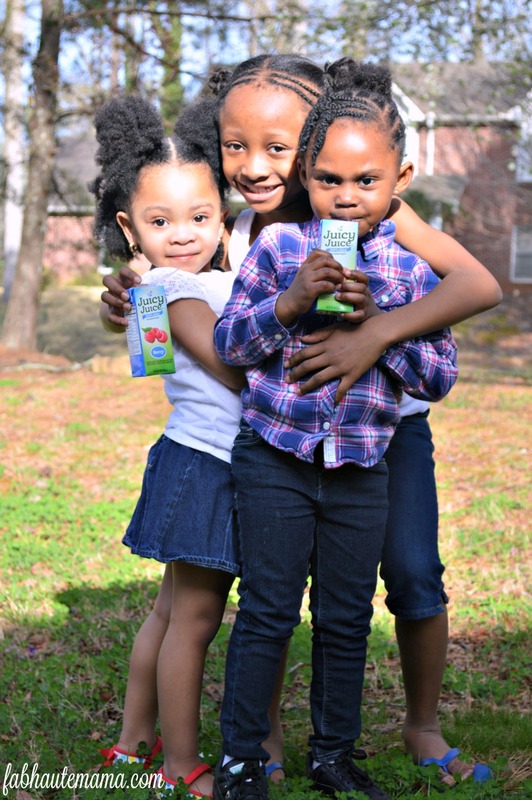 Boy did she need it plus we got lessons on how to maintain Melody’s hair. We will have to go back for ear piercing. Yes, Melody along with her other American Girl doll friends can get their ears pierced. They can also get a mani and pedi. The dolls are living large! Zoe enjoyed a tour of the store with her own personal shopper. 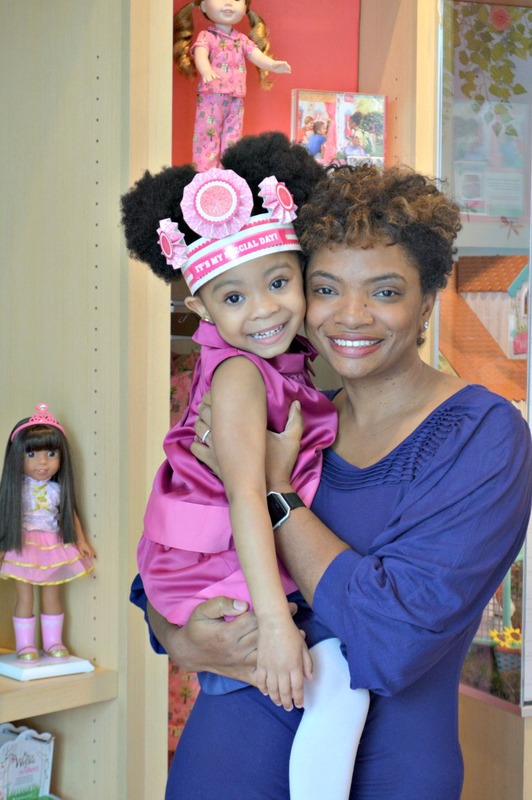 Stay tuned to see the newest doll we added to her collection from American Girl. 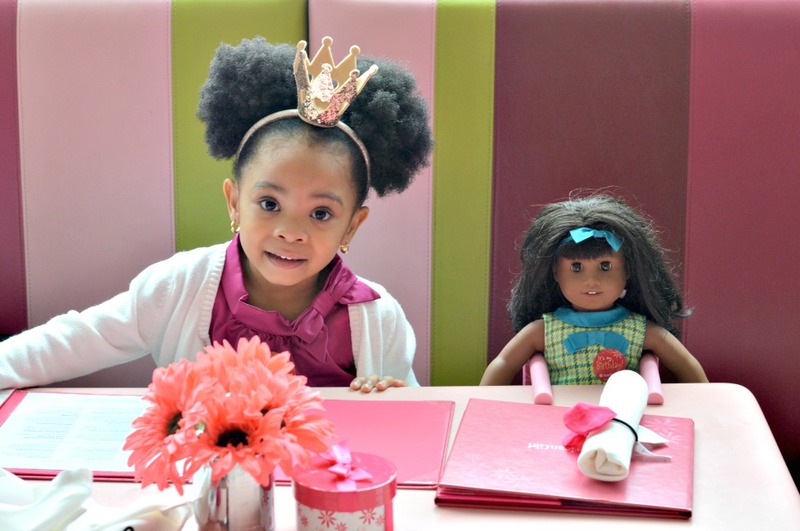 We checked off a trip to a restaurant, a new doll and a bracelet all in one outing. 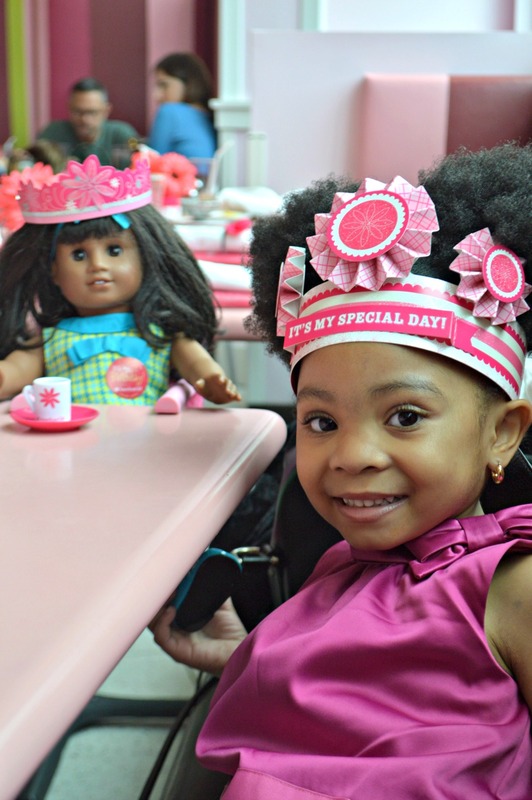 Her new doll has a charm bracelet set for her big girl companion. Zoe was thrilled about this. 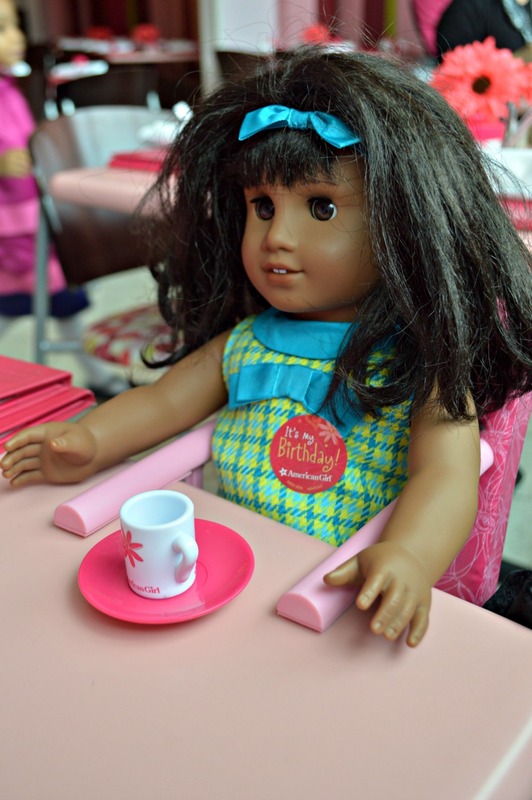 Have you been to the American Girl Bistro and Store? 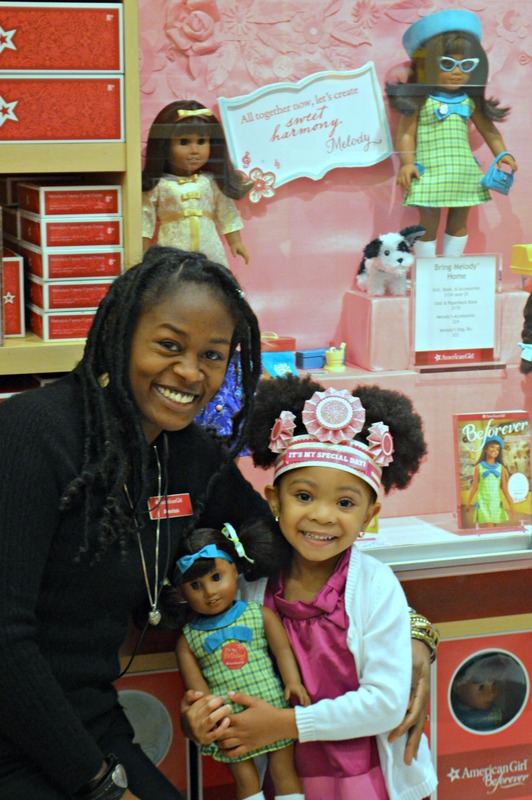 If not, make sure you experience the day at American Girl. The grandmother’s and I loved it too. 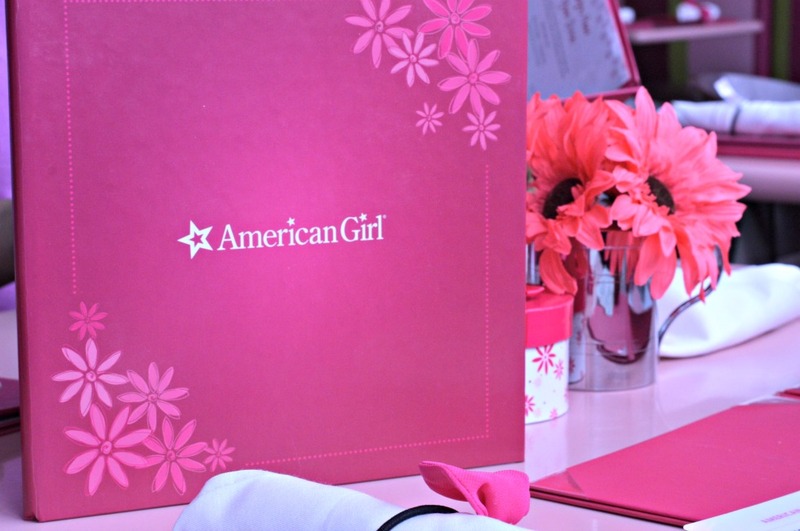 We all said we will be going back and everyone left with a wish list of their favorite things from American Girl. Say “Happy 4th Birthday” to Zoe in the comments. Please add the 4th because my very particular little girl says so. Where is the rolling eyes emoji when I need it? 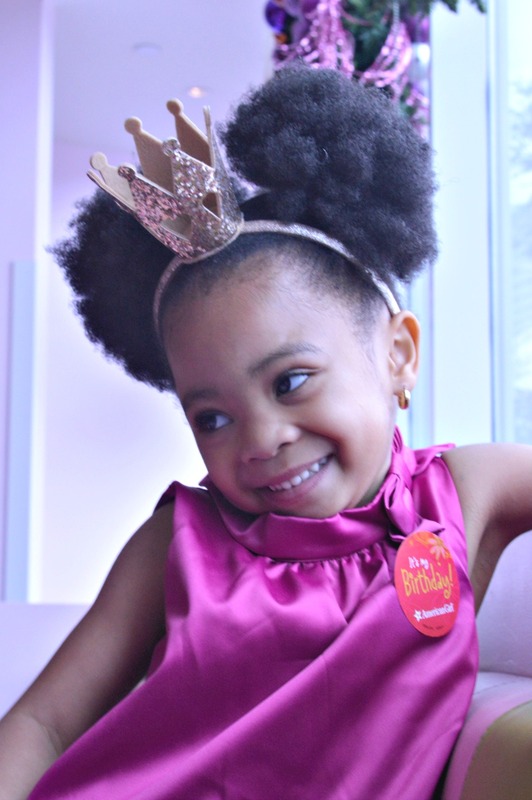 Thank you, American Girl for partnering with me to making Zoe’s “Happy 4th Birthday” spectacular.